Whow, a great example from Sound and Vision at interfilm festival! Enjoy Klangschneider & Schneider with the film Symphony No 42 performed in 2014 at Volksbühne. Support the new BENDITO MACHINE! The film WRAPPED from Roman Kälin, Falko Paeper, Florian Wittmann (Filmakademie Baden-Wuerttemberg) is online now. – interfilm festival screened the film in the Green Film Competition 2014.
interfilm Festival: Save the Date! Neulich in Leipzig. 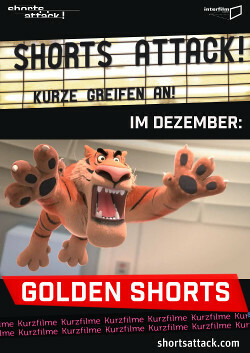 Der Film lief bei interfilm 2014 im Wettbewerb Mauersegler, den wir mit Perspektive hoch 3 ausrichteten. Kiezbeats Vol 1 von Eastcross Projects lief bereits bei interfilm – 2014 im Programm Berlin Beats. Some impressions of the 30th International Shortfilm Festival Berlin (11 – 16 November 2014) – thanks to SAE Institute Berlin! Willkommen zu U-Bahnhof-Partys und den Sounds des öffentlichen Untergrunds: Kiezbeatz1 von East Cross Projects lief bei interfilm 30 im Programm Berlin Beats! KIEZBEATZ vol.1 from eastcross projects on Vimeo. Eject 2014 – The winner at our Long Night of Odd Films – 1000,- Euro from Ampelmann – was: HOPFROG from Russia: HOPFROG (Pryg-skok) from Leonid Shmelkov on Vimeo. Das war der MAUERSEGLER Kurzfilmpreis! 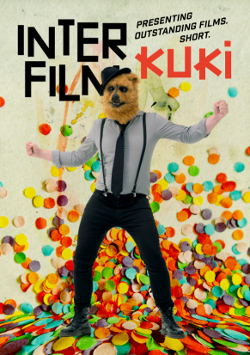 Saturday Nov. 15 at BINUU in Berlin-Kreuzberg: INTERFILM ANNIVERSARY PARTY with CAMERA – cool! – Thanks to the guys from Eastcross! interfilm Festival was great fun! Thanks so much to CID from Madagascar and his PHOTOBOX! YEAH – How to start EJECT! Playing at the opening ceremony and at Grüner Salon during 30 years of interfilm! – Thanks to SAE Institute for the interview and the video! Interview with the Band Usaginingen from Japan from interfilm Berlin on Vimeo.